Ashley Stark-Kenner is no stranger to expressing her love of bold patterns on staircases. Challenge yourself with another exciting example of the confidence on display by those brave enough to go graphic with bold styles on staircase flooring. “I love to highlight really fun, graphic patterns like these because people are afraid of stairs. 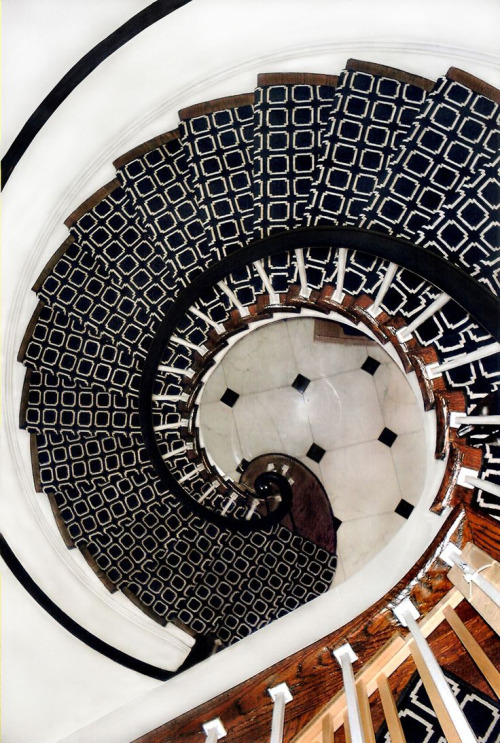 With bold, visually engaging patterns, ordinary staircases can be enlivened.